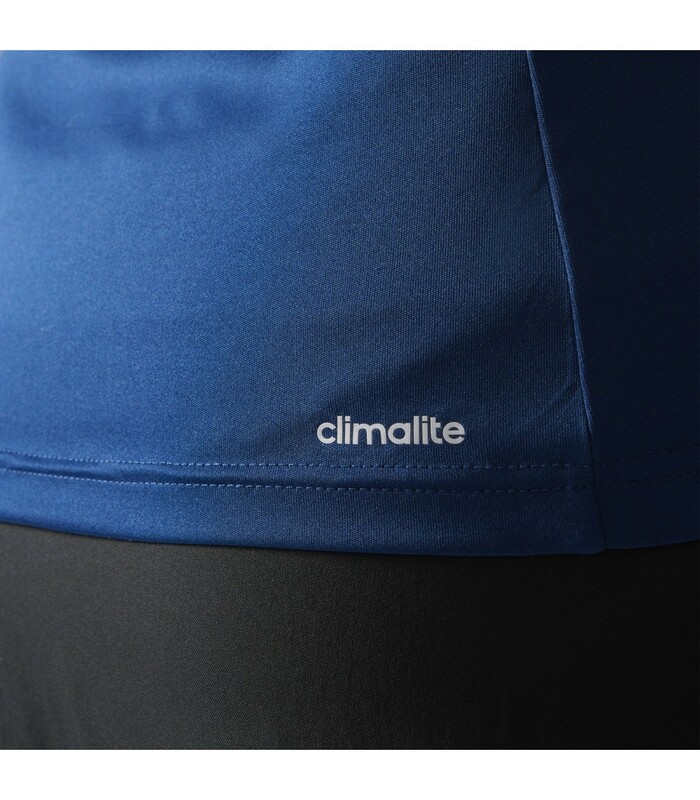 Freshness, comfort, lightness and breathability are the main assets of this girls squash top. 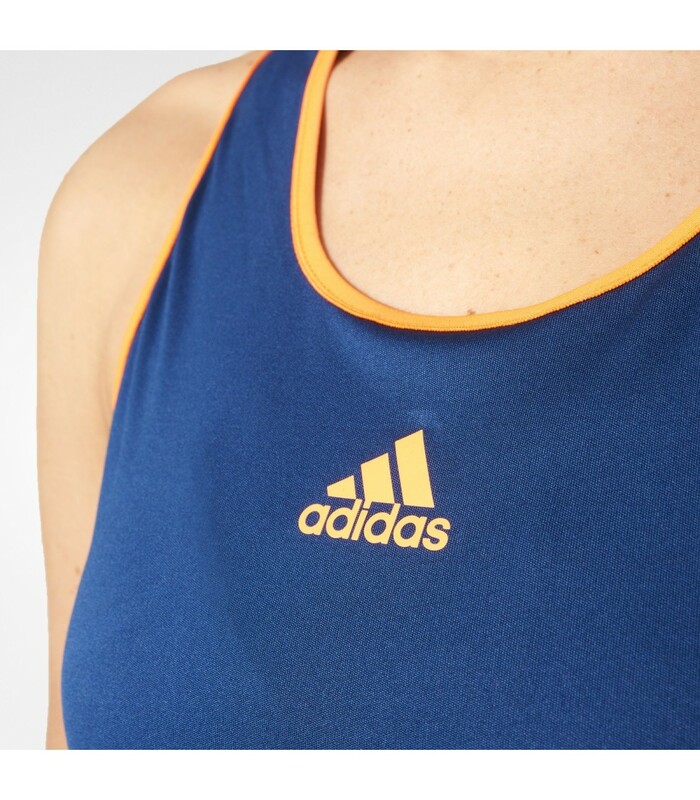 Your daughter will love the Adidas Court Tank squash top. 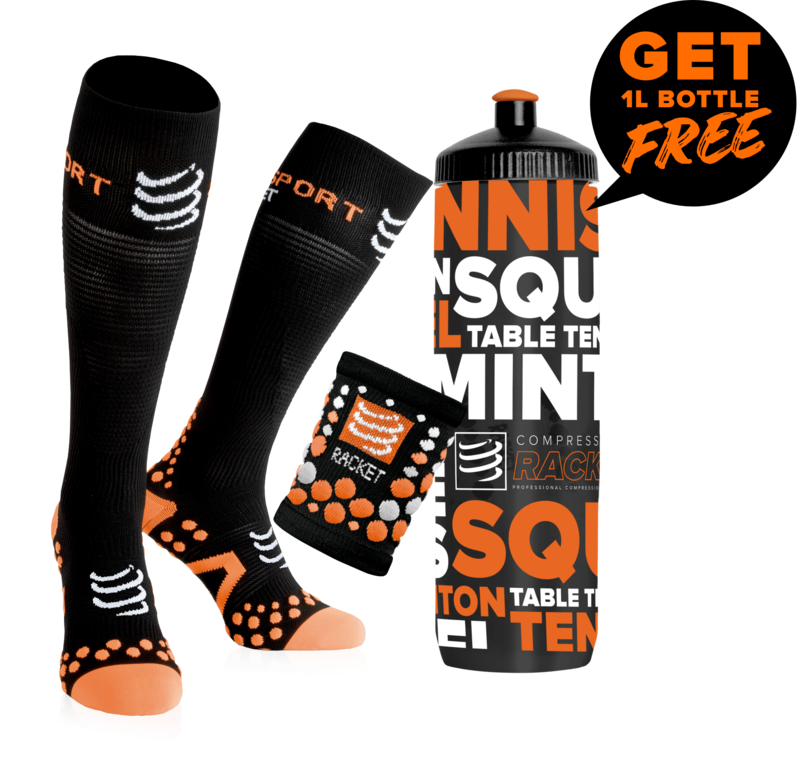 With its blue and orange color, your kid will have a nice and modern look on the squash court. She will also enjoy an optimal comfort for more pleasant squash sessions thanks to the breathable and aery material that allows a good ventilation of the body. 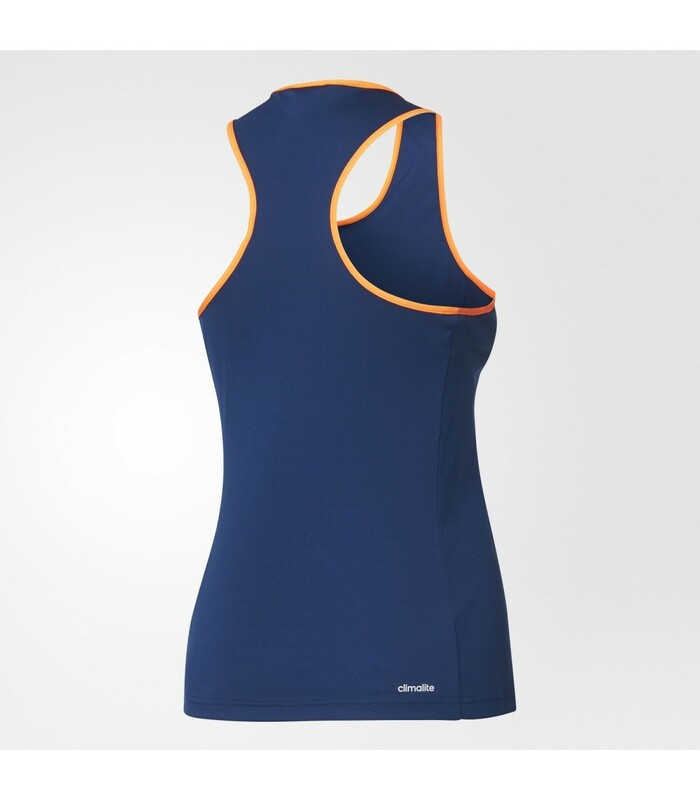 With its Climalite technology, the Adidas Court Tank squash top keeps the body cool and dry and offers a pleasant feeling of freshness. With this high quality top, your daughter will play under excellent conditions. Offer the best to your daughter with this comfortable, nice, technical and affordable squash top. With the Adidas Court Tank girls squash top, your daughter will have the look of her favorite players.